The methods in this article should be able to help with localhost sites as well as hosted sites. Thanks for the article. Hopefully it will help. After succeed the “Check your Web Host (MySQL Server)” test I change the host from 127.0.01 to localhost on the config.php file. hi, it is happening to my WordPress site only sometimes and when I reload the page site starts working again please suggest me a solution, for now, I am using Cloudflare as cdn and wp rocket for caching plugin, the theme is newspaper premium. If it is intermittent like that, you would want to reach out to your hosting provider and let them know and they should be able to assist. This solution helped me a lot. Thanks so much. Same exact error i got “Error establishing a database connection” but not all of the sollution you mentíon helped me. For me the MySql services was disabled: I went to services and start the MySQL to automatic. The other thing was the ” log on ” to user was administrator and changed it to the account i created. Now my wordpress site is working again. I have a weird situation is, that the error establishing a database connection is only happening to one post in my blog while other posts are not showing this issue. You may want to try reaching out to your hosting provider to see if their error logs have information that can help find the root of the issue. thanks so much, worked great, really appreciate how fast and to the point the video was, instead of a 7-10min extended one, boom, stright to the point! Thanks so much for this post. Saved me lots of time troubleshooting. I had changed my database password after a web hack and forgot to change wp-config file. Your instructions are spot on. Dude, you have just saved me TONS of nerves! Thank you SO MUCH. Best wishes and God bless! I fixed it by deleting the MySql database and making a new by importing the backup. I did not need a fresh instance of WordPress. Same here! After hours of debugging, reinstalling MySQL and WP, deleting the wordpress database was the solution. Thanks Parker! I’m not a developer or have any background in file managing and I could follow your instructions easily. Either I’m a genius or you’re awesome! Or maybe both! I had this error while setting up a local instance of WordPress running on Wamp server on windows. *For me, it got solved when I changed the blank password of the localhost from phpMyAdmin panel, * the password was blank so I suspect that’s the reason, or maybe changing the password updated some necessary files automatically. I’m a beginner making a big mistake of using all-in-one migration to export my website to a whole package(a “.wpress” file, containing old database information inside) unless using separated database files and then restored it on my new host. After that my website display”Error establishing a database connection”. I have tried checking the config.php, but the database name is correct to my new host. I now understand that’ s a terrible way to migrate my web, however, I don’t have any backup. Is there any method can help save this problem? Check your host, database name, and database password. These are the most likely culprits. I follow step by step, and now my web is better. Thanks very much for the article. I’m new to WordPress, and this error was pretty disconcerting. I got the error after a simple page edit today – not even fiddling with back end files. Your advice on editing the wp config file fixed it straight away. Thanks again! Thanks immensely for the article. Although my problem wasn’t identical to the problems given, changing the hosts file managed to get me pointing at the new (unpropogated) version of the web site and replacing localhost with the ip address in wp-config took care of all the problems with pointing to the active version of the site. Now the new site is fully tested and I can shift servers safely. Well done! very helpful for me and also many people who have no idea about this things. Firstly i appreciate the effort taken by wpbeginner for creating all these articles and helping out people from their bad nightmares. I had moved from one host to another. Was getting the error. I had used a different database prefix on the new host. Changing this in the wp-config.php solved the problem. I battled with MAMP on MacOS Sierra ver. 10.12.6 for a couple of days. After trying what seemed like Everything, I finally gave up. With MAMP, MySQL would not start although Apache did & PHPMyAdmin was throwing the same error about MySQL. I uninstalled MAMP and installed DesktopServer and I’m so glad I did. It worked like a charm. It was incredibly easy! Notice: getTemplate was called incorrectly. templates/single//layout.php does not exist. Please see Debugging in WordPress for more information. I’ve created a site on localhost. I am using MAMP. I tried to go live. When I changed the user password in mp-config file the error of not able to connect to serve appeared. I tried to change it back but if have been unable to get back to my login for wp. That’s where I’m not understanding. How do I know where the password and username should be matching up? As soon as I saw the error I was like oh god there goes my day trying to sort this out! I hadn’t touched wordpress or my hosting account for ages, had forgotten everything and was like okay back to square one here. This article’s fix worked like a charm (changing the password to the database and making sure it was the same in wp-config). Saved me a huge headache. hi, thanks for the effort to bring this post up. after some hours that i spent twiking and ftp-ing and phpmyadmin-ing, i finally got all my settings super-perfect, but still this anoyying message. so- i just openned my chat with bluehost, and once again they proved to be really fast in answering. with a click it was all up and alive. Now to find out why it does this on localhost when there is NO config file yet! Trying to install for first time in another folder, but get this error? Saying config in wp-config might incorrect? Well ya… there is no file! Thanks for the article and the video, I fixed my problem as well. But why does it happen? very strange. Thanks a lot, I have fixed my problem. Your fix really saved me a lot of time and energy….thanks!! I’ve encountered the no database connection error. I can run a connect.php script using root and password which says connected successfully. To what is my question. Just to my localhost server? root and password I used were those for my phpMyAdmin login. 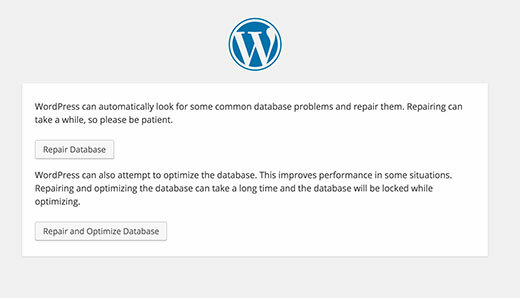 A similar connect_db script using the actual wordpress database user and password fails. user and database password match the wp-config values. I’ve used the user root and its companion password in the wp db table but still get connection error. I have this issue once in a while on a local server after server reboot. The solution that has always worked is to stop httpd, then restart mysqld, then start httpd again. Had always fixed the problem. Probably not a solution if your site is hosted of site. Suddenly, my localhost stopped saving anything. Tried installing a new WordPress but whenever I’m to login to the back-end, the right or any password or login credentials won’t open it. You guys just saved my life ! One more time. My WordPress site (2 server, One web and One db) works perfectly at the first run. if I reboot the web server it shows the database errore. You are a life saver! Thank you so much!!!!! will thi sbe fixed as you are saying in this article i will have to go for it than only i can say any thing about this site . mine also broke down without me making any edit on the website whatsover for like 2 months, i got scared… so this is how i ended up here looking what to do, but reading all this i just refreshed the page and its working, somehow automatically… i dont know how long i had this error was there for but its between minimum 10min and 2 hours max, the host im using is hostgator and just before i was to contact them i refreshed the page and its working, so my advice if anything you can atleast wait 2 hours and it may turn back on like mine, PEACE! Thank you so much! This is extremely useful for me. Regards from Bosnia!